Big drive today. 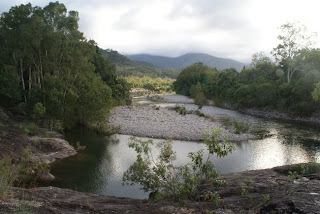 I had seen a nice looking National Park camp at Paluma called Big Crystal Creek with a good river and swimming hole that I wanted to try. We’d done plenty of beach-side stops for a while and felt like a change of scene. 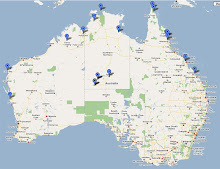 But it was about 280km away and that’s a big day in the truck for the boys. But they were great! I just kept the food coming and a had a Wiggles DVD on and we powered through. We were definitely at the end of their limits for the last 10km or so. But it was worth it. 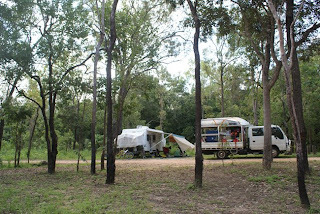 The camp is great and only 5km off the highway. Nice bush camps with a picnic tables and even water on some sites. There is a toilet block with cold showers and, at the other end for day picnicers, there is a gas BBQ. Just 100M along a track there is a fantastic big deep swimming hole. Bloody big fish in there too but fishing is not allowed so Tim is massively put out! We made camp in record time, got our swimmers on, and headed off. Water was refreshingly cool and super fresh. Jordy chased (and caught) tadpoles and we all splashed around until it got too cold in the water. It’s lucky it was a slightly overcast day as it’s quite warm here! We saw a huge goanna climbing a tree. It must have been two metres long from nose to tail! And there are lots of butterflies and scrub turkeys and frogs. There are also a lot of annoying little bugs that are bigger than mozzies but smaller than flies. They try to get all in your face. But once we put out a bug coil they all disappeared from around our camp luckily. Sausages and potato wedges on the Weber and a salad for dinner. The boys were in bed at 7:30. Tim only just had time to go up for a shower and now there is a nice light rain falling to cool things down a bit. I am finding it really interesting watching the landscape and vegetation change. There are little things that are similar to home or to areas that I have travelled to out west but so many other things that make it so different. The super flat plains that extend for miles with a ring of mountains all around us are totally different to the land I grew up in. 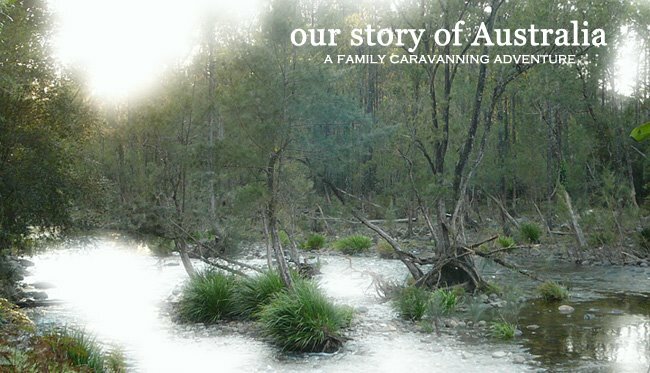 There was an hour or so today where we left the sugar cane country behind and the land turned to wetlands with the small scrubby salt-hardy trees which reminded us of the land out towards Moree. For the last week it has felt so strange to look out at what would be perfect kangaroo country but instead of seeing a mob of kangaroos in the shade of the trees there are big white beef cattle. The water in a lot of the creeks and rivers we drove over today had an odd green milky colour which I have never seen before. Not sure if it’s a higher limestone content or clay or what but it looks quite beautiful.